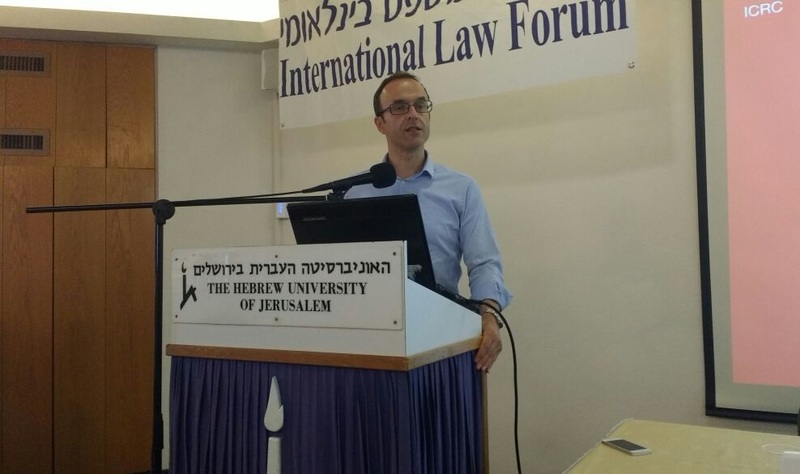 The updated commentary of the First Geneva Convention was launched in Israel last week, with the visit of Henckaerts, the senior legal adviser who heads this project. The visit included meetings with the Israeli Authorities and students. The delegation organized panel discussions at the Hebrew University of Jerusalem and at the Interdisciplinary Center (IDC) Herzliya to present and discuss this updated version. 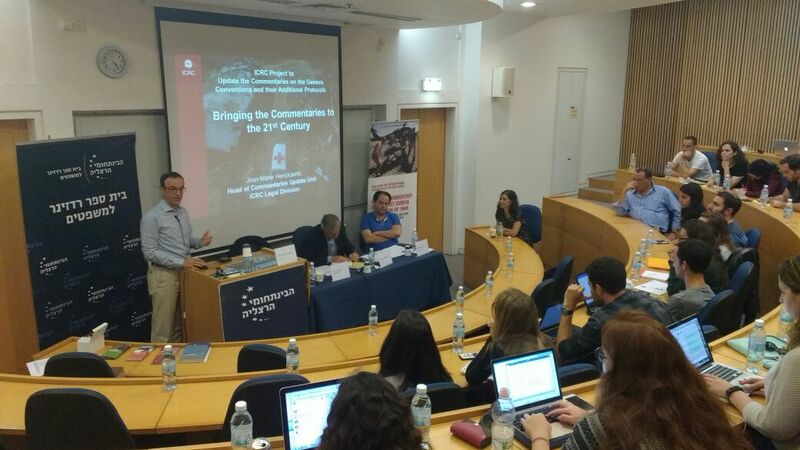 A panel discussion with Jean-Marie Henckaerts, ICRC senior legal adviser, at the Interdisciplinary Center (IDC) Herzliya. The commentaries to the Geneva Conventions were first published in the 1950s, giving practical guidance on the implementation of the Geneva Conventions. The four Geneva Conventions of 1949 provide a framework setting out what is acceptable and what is prohibited in armed conflict. They constitute the foundation of international humanitarian law. The experience gained in applying and interpreting the Conventions over the last six decades has generated a detailed understanding of how they operate in armed conflicts all over the world, and in contexts very different to those that led to their adoption. Based on these developments in law and practice since then, the ICRC launched this major project (which will run until 2021) to update and re-write the Commentaries for the four Geneva Conventions and their Additional Protocols of 1977.